Domain authority is a SEO metric that’s often used to determine the SEO value and potential of a website. Also known as (DA), domain authority is a metric built by MOZ. Domain authority ranks websites on a scale of 1-100, 1 being the lowest authority and 100 being the highest authority a website can have. While many SEO ranking factors are considered in your domain authority score, the bulk of your score is determined by referring domains pointing to your website. Does domain authority reflect what Google thinks about your website in terms of SEO value? Absolutely not. I’ve seen DA10 websites rank higher than DA80 websites. It’s a good judgement call to look at DA and determine that it’s a good estimate of a website’s SEO power, but it should never be viewed in line with Google’s thoughts about your website. Google doesn’t care what your DA score is. Always remember that, DA is helpful but Google could care less. Every successful online business, website and blog has overcome obstacles to become an authority in their respective niche. As any successful SEO or webmaster knows, domain authority comes with time and solid techniques in all aspects of search engine optimization. There’s a variety of strategies that can be used to increase your authority. In this article, we’ll explore those techniques and what you need to do climb search engine rankings. While Moz’s domain authority is a solid SEO data point, we know that spam links can influence domain authority. So you can’t judge a book by its cover, meaning to understand the true SEO value of any given domain, you have to analyze the domain’s key SEO elements. To do this, you need SEO software such as Ahrefs, SEM Rush or SEO Profiler. I know you’ve heard this time and time again, “high quality content is important.” We’ve heard this phrase for years and this fact remains true today. It’s 2017 and high quality content is more important than ever. Over the course of my 11 years, content has always been one of the top strategies and it has always paid off. 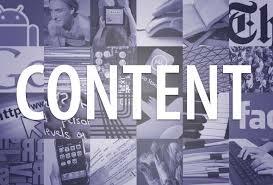 Your content strategy should be to publish high quality content. Every content piece you deliver should have a purpose. If not, you’re wasting money, time and effort. Marketing your content is equally important. Your content should be focused on helping the reader. Of course, you’ll have content focused on selling, such as landing pages or COA pages. Understood, even so, it still needs to be useful and valuable to the reader. Don’t EVER FORGET THIS. Content structure is important. Not only for SEO, but for conversions. But we’re talking about domain authority and how to build it. How many times have you heard that longer content ranks higher? I’ve seen several industry leaders saying this over the years. Here’s the thing, high quality, detailed content is often longer. Case studies have proven longer content has better ability to rank. Now, with all of Google’s changes, longer content often gets ranking advantages. But it’s often underlying SEO metrics that effect the rankings of any pages. I’ve seen articles with 300 words rank on the top of the first page. Not as often, but I’ve seen top ranking articles with no links, some without a keyword in the first sentence. If you concentrate on building content that is valuable to your reader, you’re likely to see better results and better conversions. Just like in life, rankings always happen for a reason. Your domain age plays a big role in the authority of your website. This is one of the reasons that aged domains rank in top pages of the search engines in all niches. Of course, it’s not the only ranking factor but it does play a big role. Not every aged domain ranks high. You have to be active on the domain to reap the benefits of your domain age. What does this mean to new websites and blogs? Honestly, it means that you have an up hill battle from day one. You don’t have to get discouraged though. Building your authority will cut into the age gap of you and your competition. As mentioned earlier, building your content is going to be a crucial step to cutting into this gap. Now, we’ll discuss other strategies to help you close this gap. Another way that you can build authority and search engine rankings is by linking to established authority websites and blogs. This has been extremely helpful and rewarding in our SEO efforts. 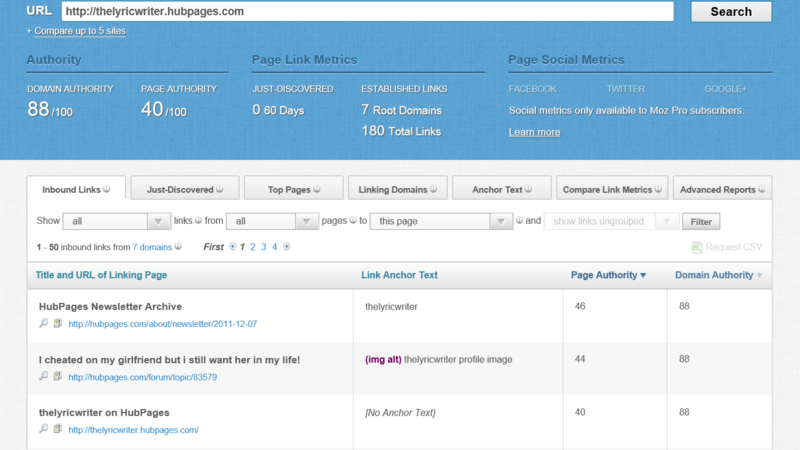 Link building to authority websites will give your website credit with Google and other search engines. 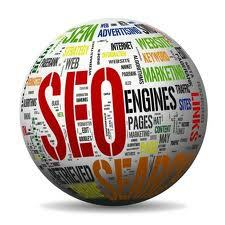 If you have SEO software or other tools, you can research and evaluate which websites and blogs have authority. Moz is one website where you can research domain authorities. Just to note, you want to make sure your links are relative to your content. You should always research links before you build them. Link building to authority websites can also benefit you as you reach out to connect with other webmasters. Building a relationship with others can have long-lasting benefits for both parties. You should always be open to networking and building these types of relationships. You never know what opportunities may come up, always leave the door open. On-page SEO factors also play a vital role in the ranking of your domain authority. There’s a number of different ways that you can build your domain authority and search engine rankings on-site. Below, you’ll find the main factors you need to improve. Site structure is important for domain authority but also important for user experience. You want to make sure all your pages can be reached. This ties in with navigation. Your website shouldn’t be hard to navigate. A detailed navigation bar and sidebars can be used to get users where they need to be. Internal linking is also important for authority and on-site search engine optimization. You should use descriptive text for your links so users know exactly what they are going to. Make sure all your text links are relative. Be sure to keep your internal links to a minimum, you don’t want to over do it. Be sure to use your main keywords and secondary keywords all over your website. Your on-site content should display a number of different keywords and phrases for authority and search engine optimization purposes. I’ve never paid much attention to keyword density but I know not to use keyword stuffing techniques, something to be mindful of. Using clear permalinks is always important, especially for search engine optimization. SEOs and webmasters have been mixed on this topic for years. Some believe short permalinks are better while some believe long tailed permalinks work better. I’ve used them both over the years and I’ve never seen a big difference. None the less, you do want them to be clear and relative to your content. Social media continues to become more involved with search engine ranking factors and authority. Your social media metrics tell others if you’re an authority. Social signals help you build your brand and reputation. You need to make sure that your website or blog has social sharing buttons. If you haven’t built social platforms for your business, you need to do so now. 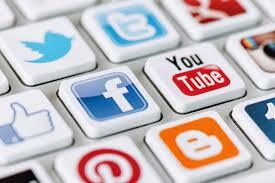 Social media marketing campaigns can be extremely beneficial. Gaining high profile followers can give your credibility a much needed boost. Just like your websites and blogs, your social platforms build authority also. You want this for your business and social platforms. It’s important to do your best to keep your social platforms useful, informative and promote interaction with your followers. Building this authority on your social platforms will help your business grow and reach large audiences. Building your authority online takes time and effort. Don’t get discouraged if you don’t see results right away. Rome wasn’t built overnight, right? If you put in the effort and time across all your online platforms and follow these techniques, you’ll build your authority. Build your credibility, always be professional and put in the effort to be an authority in your respective niche.